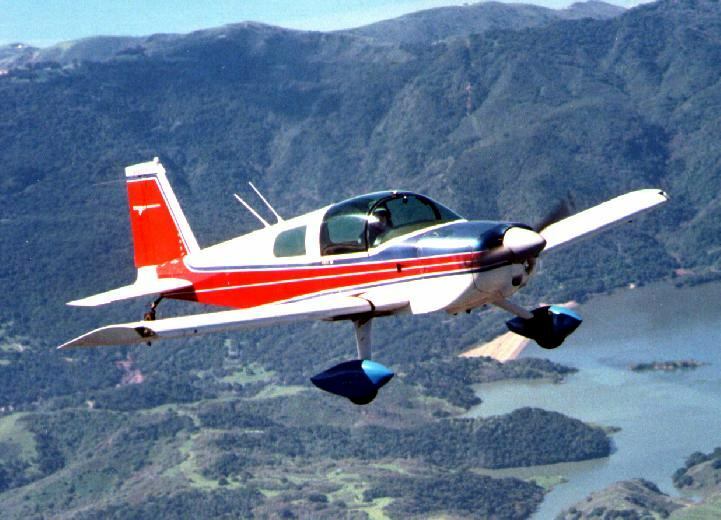 A large (50MB) pdf archive of articles written about our AAx airplanes, supplied by Ed Prest. 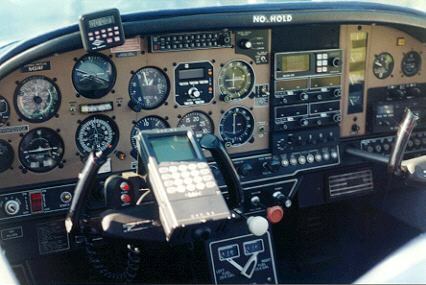 From the BD-1 up to the G-1000 equipped AG5B. On the left, Hector J. Zuñiga and hist 1972 AA5 Traveler, at Victoria, Texas. Click on the photo to see more. On the right, Dave Farrell's recently refurbished interior. Click on the photo to take a tour. Leigh Schubert bought this early series Traveler up in Alberta Canada. 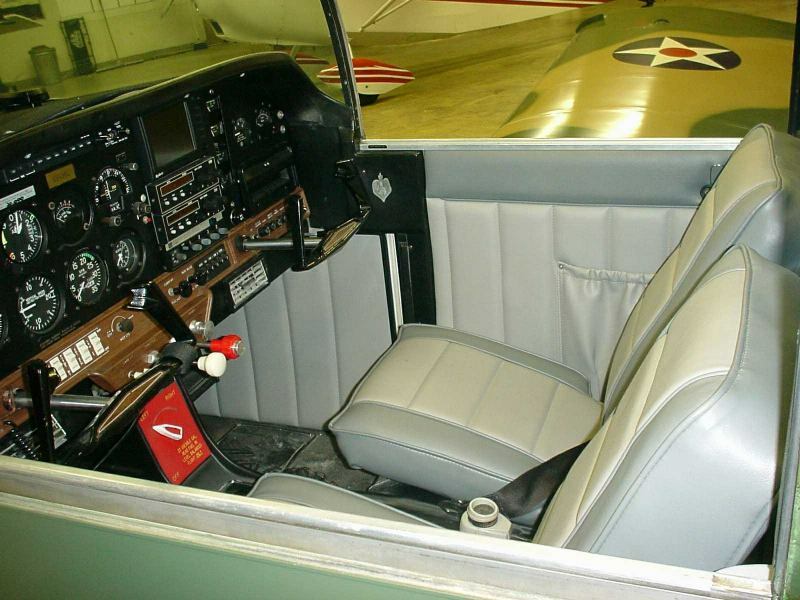 It's still all original paint and interior, with a near factory original panel. On the left is Oscar Rolan's 1974 Traveler sporting fresh paint and a new leather interior. Oscar is based at El Monte (EMT). He also has a website with more pictures here. Tom Prevost, based in Frederick, MD (FDK) sends this photo of his 1975 Traveler fresh from the paint shop at Chormin Airpot (D74) after getting a new paint job. 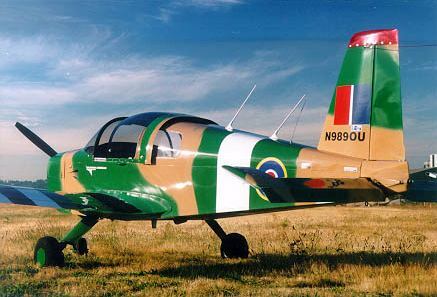 It was painted by Jim Russell in the new Tiger Aircraft paint scheme. 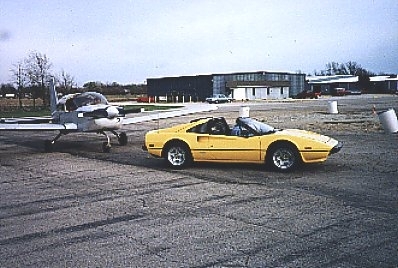 On the left is Mark Neubauer and his beautifully restored 160HP Cheetah. This project took hundreds of hours over a ten month period. 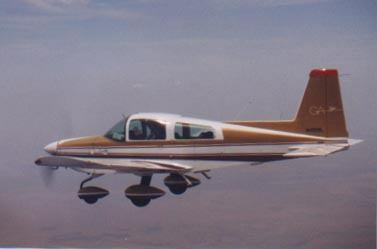 Click on the image to take the full tour of the airplane. To the right, Grant Rice's 1977 Cheetah on a fall day in Bethel, ME. 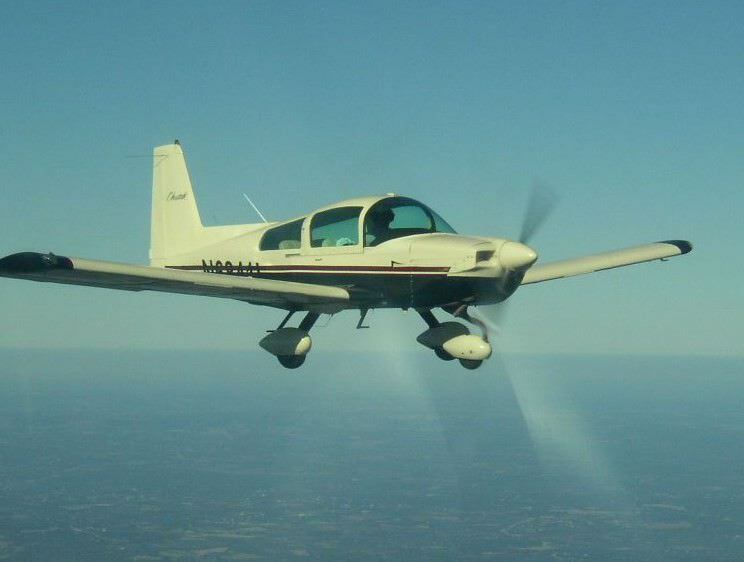 Here is AYA South Central Regional Director Tom Jackson Jr in his Cheetah over San Antonio, TX. His daughter is flying right seat - if you look closely, you can just see the top of her head. 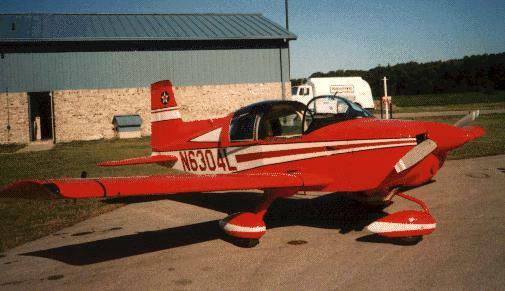 Jim Wiggins photographed his 1976 Cheetah several years ago at Cherokee County Airport in Jacksonville, TX. 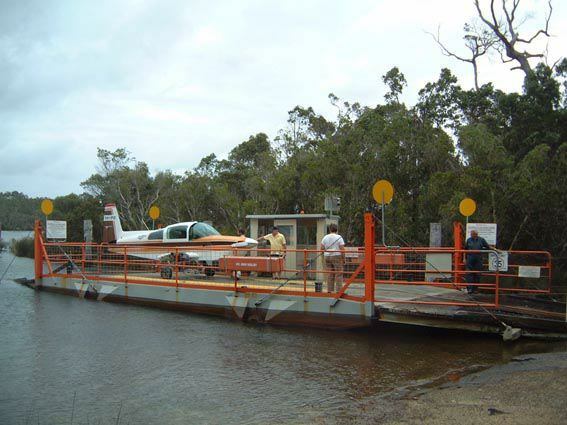 Brian Combley shipping his Tiger home for a paint job, via the Molloy Island Aircraft Carrier, er, Auto Ferry. Right and left are Randy Severino and his wife Xinna with Randy's 1975 AA1B, based at Van Nuys, CA. Randy has more pictures at his web page. Randy works in the movie biz and uses the Grumman for location work. 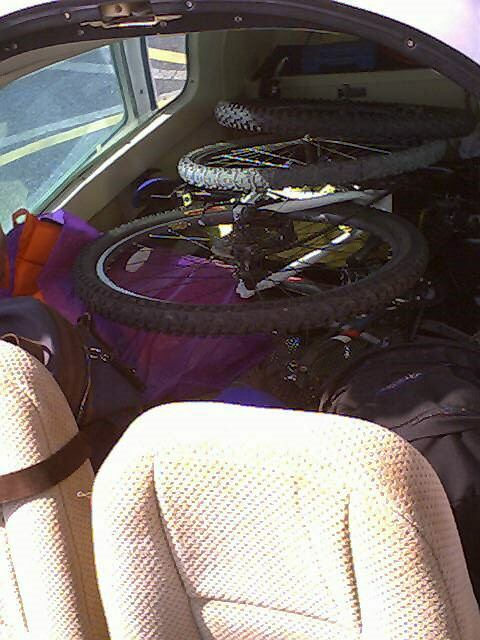 Arrt shows off one of the mission capabilities of the 4-seater: Two people, two bikes, two weeks of camping gear. Photographed at Surin (VTUJ), Thailand. 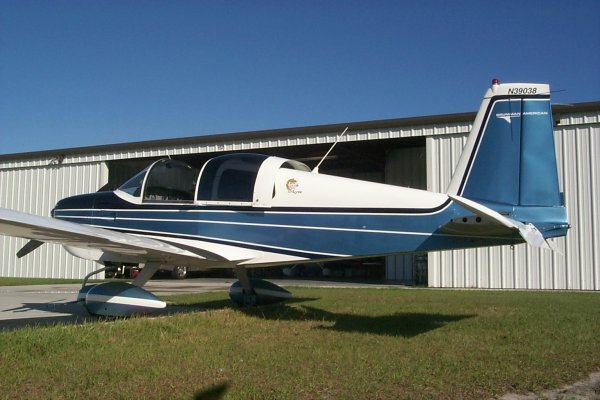 Christion Moersch and Jeffery Koble own this 31 year old and 1229 flight hours AA1A. Now sporting new camo paint. 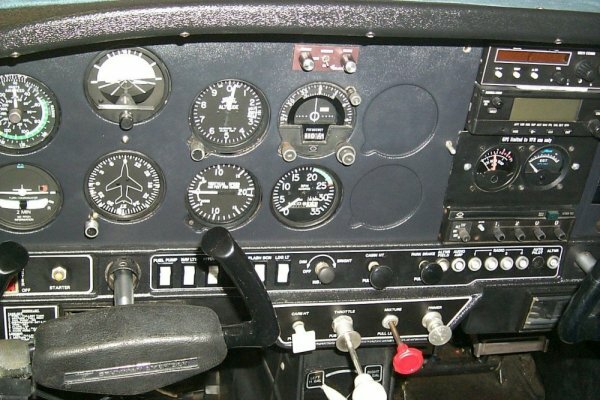 Fred Nemeth bought his Lynx nearly 10 years and over 1000 hours ago. 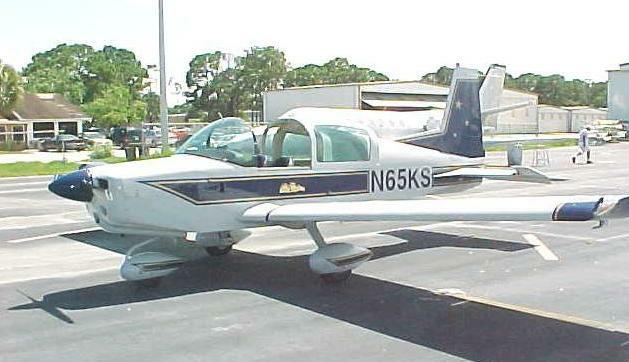 It's very nicely equipped and features a Ken Blackman 125HP STC, which comes in handy in the hot and humid Florida climate. 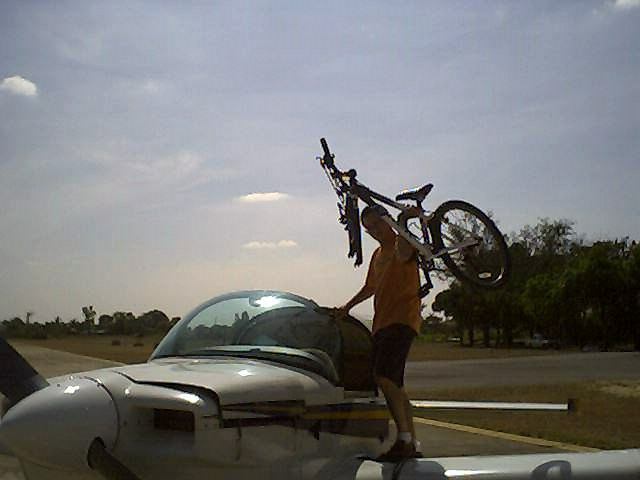 Photo taken at an AYA fly-in at Charlotte County Airport FL. 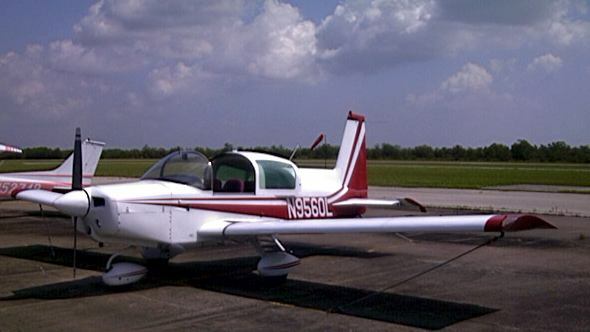 Mark Eberhardy of Clintonville, Wisconsin has owned N6033L for 10 years and got the High Compression STC in March of 2001. Original paint. 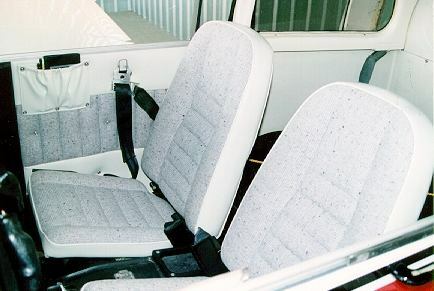 New gray interior installed in '96. 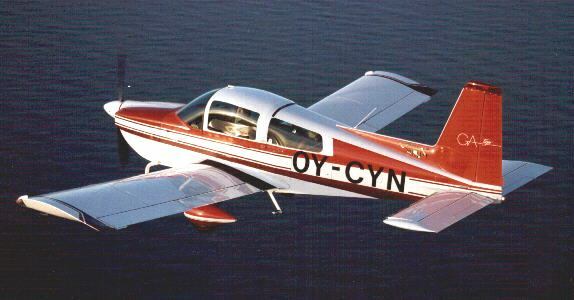 The plane is 30 years old now and is still flying strong into the new Millennium! 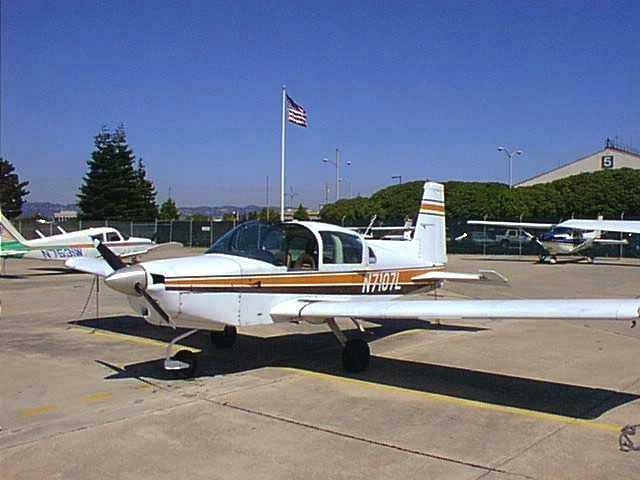 The Region 11 Fly-in to the Pearson Air Museum in Vancouver WA, on 21 April 2002. Seen in the photo clockwise from right foreground: Jeff Davis' AA-5B; John Lorence's AA-5; Cliff Hanson's "AA-V35B"; Ola Vestad's AA-5B; the museum's Cobra helicopter; Jeff Jacobs' AA-5A; and Mark Matthews' AA-5B. 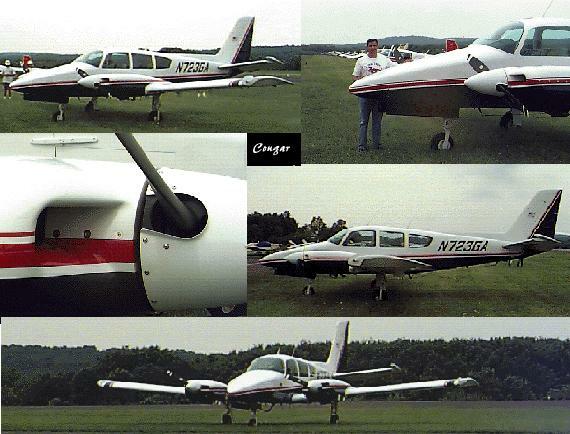 Joe Gabriel, based at Islip MacArthur on Long Island NY (ISP), sent these photos of his 1978 Tiger named "Double Deuce". 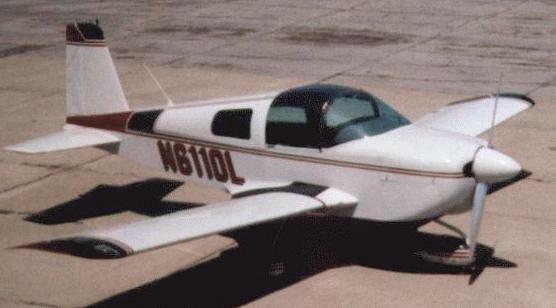 From Pace, Florida we have John & Cherry Horton's 1978 Cheetah. 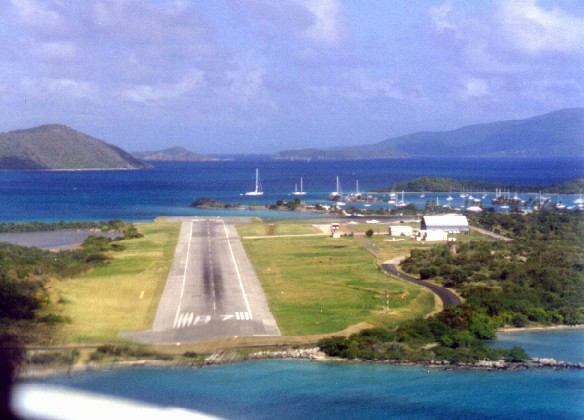 The over-the-nose shot is the Hortons arriving at Beef Island Airport in the British Virgin Islands in 1994. 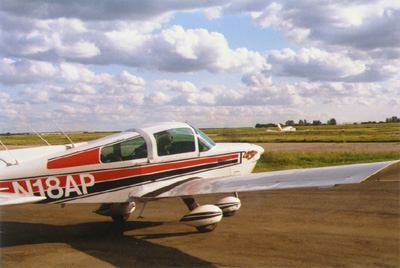 On the right is Colin Pryke's 1992 AG5B Tiger at it's UK airfield of Denham this past summer. Before and after photos of this AA1C tail dragger conversion Karl Von Kaenel of Clemson South Carolina did this past summer. 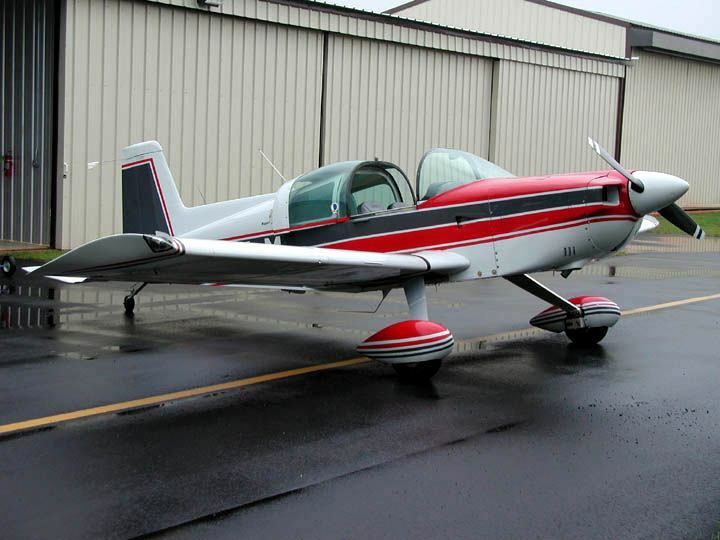 On the right, Ed Barrett of Cartersville Georgia and his dad rescued this 1971 AA1 Trainer after 3 years of ground-bound neglect. If you're looking for maintenance and/or repairs in the Cartersville area you can contact Ed at ad3mech@hotmail.com. 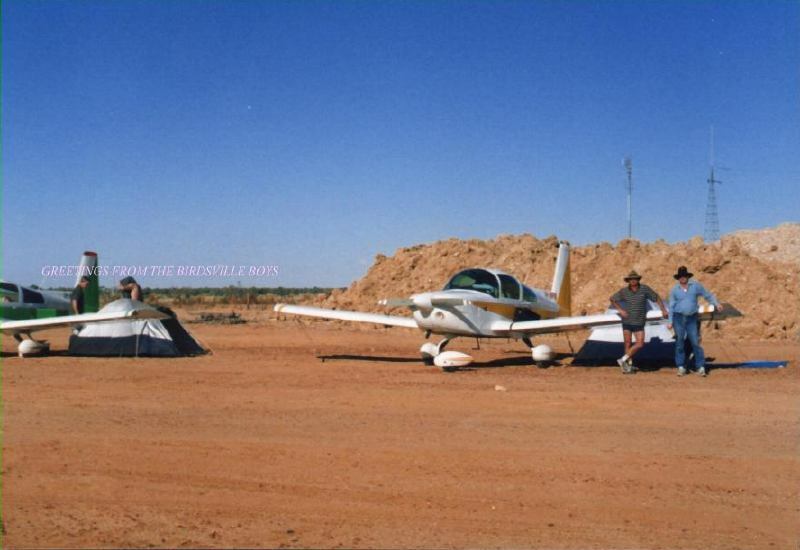 Steve Snow of the Brisbane Flying Group sent this photo of the Birdsville Boys at the Birdsville Races in 1999. 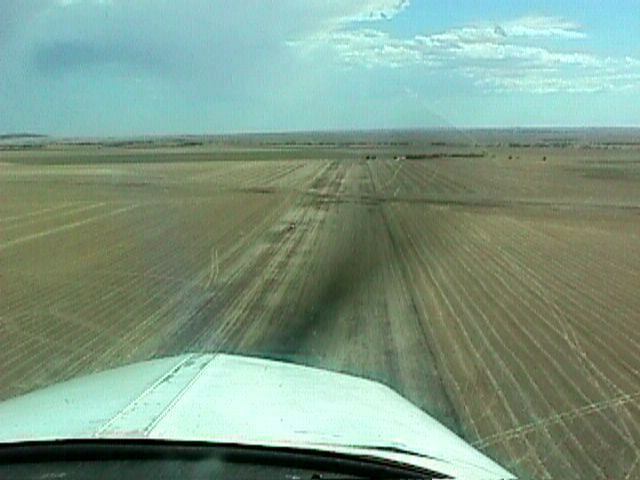 (In case you're wondering, Birdsville is right about here). To the right is Kabir Chuttani's 1976 Tiger. Ken Smith's new (to him) 1972 Traveler, shown at the left with a fresh paint job. 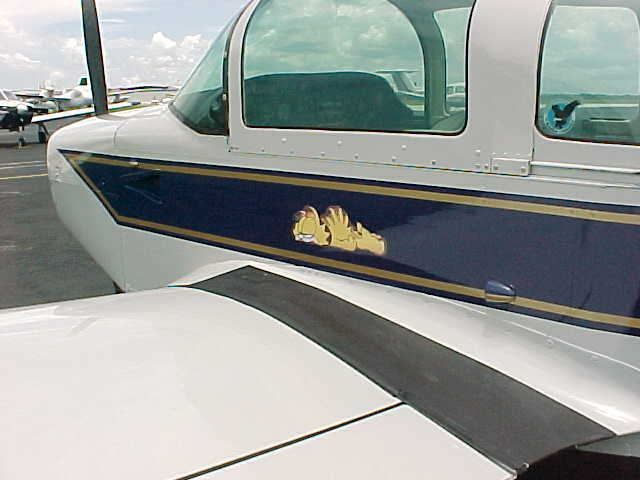 To the right is a close up of the snoozing fat cat decal under the cockpit rail. 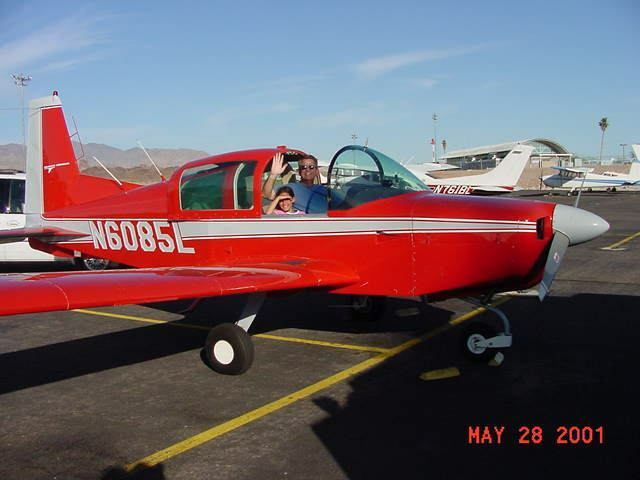 Jim Watson and his niece Jacklyn, preparing Jim's Traveler for her first flight at Jim's home in Lake Havasu City, AZ. 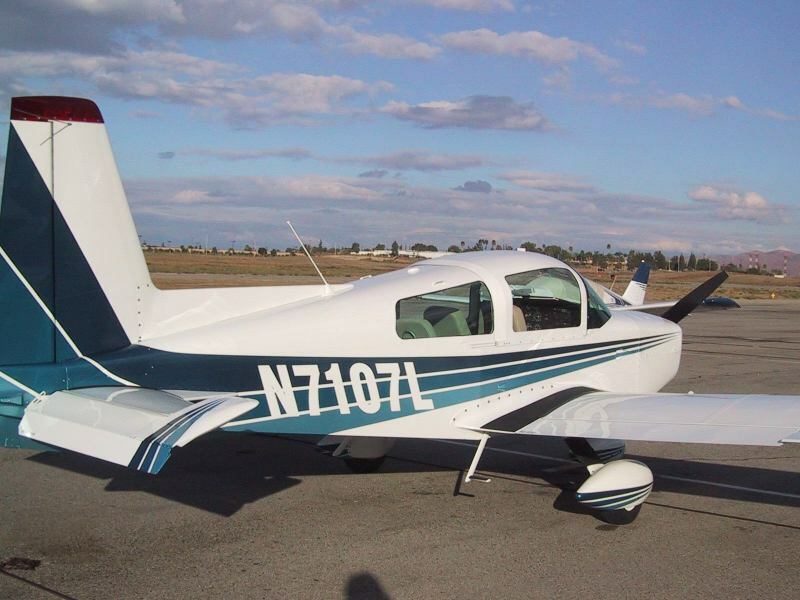 Since Jim works in California, his airplane is also based in Banning, CA. 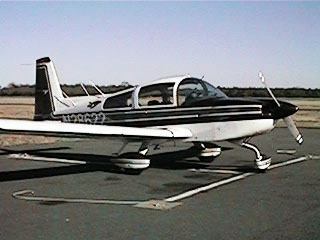 Twin Tiger flight ready to depart for S.E. 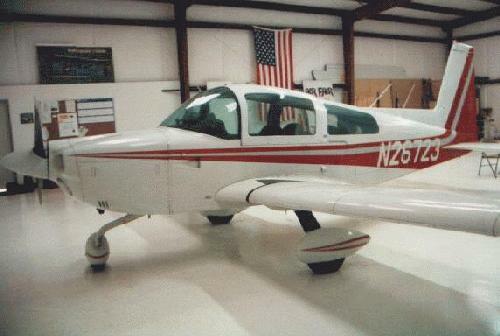 Michigan from Jasper Co. Airport (RZL), Indiana after annual performed by top mechanic John Sjardema of Excel Air. 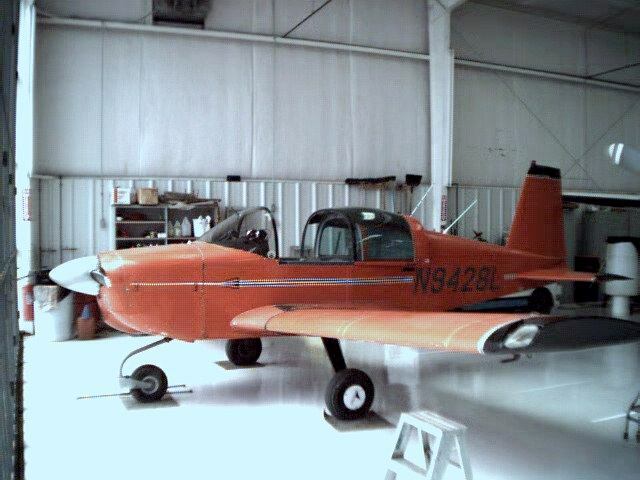 N1196A is a 92' Tiger owned by Steve Tuttle, N1193U is a 91' Tiger owned by Gary Ray. 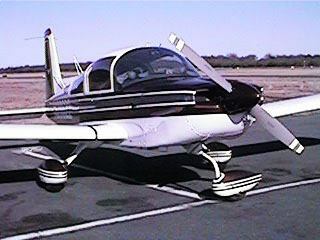 Tom Surran sends us these photos of his 1976 Cheetah based at Reid-Hillview Airport in San Jose, CA. 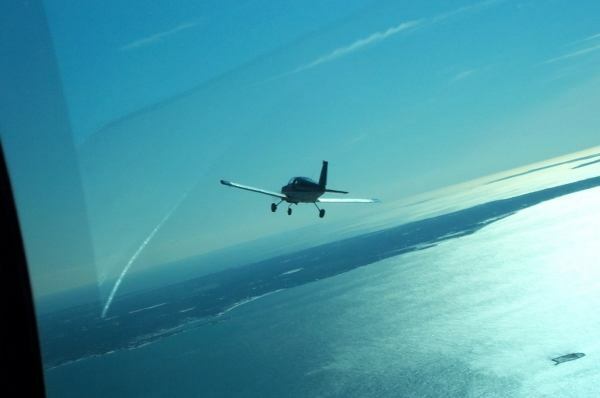 Alasdair Crawford sent in these photos from a recent AYA New England region fly-in to Hyannis, MA. 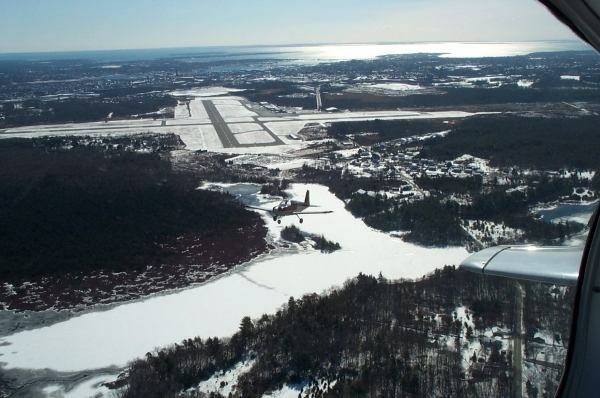 Dave Rogers was the photographer of Alasdair's 1971 AA1A on the formation flight from New Bedford to Hyannis. Walt Murphy sent in these photos of the Camarillo Grumman Air Force - Paul Jones, Richard Tracy, and Walt Murphy. On the left, Paul Jones and Richard Tracy in close formation, and a shot of Richard alone. 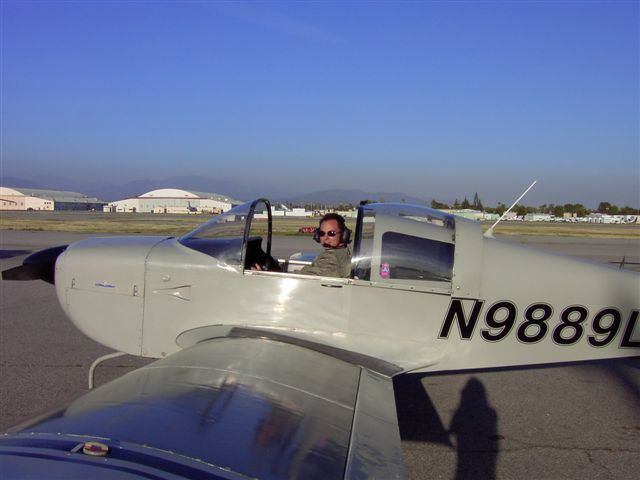 On the right, Walt Murphy in his 160 HP AA1B taildragger conversion. 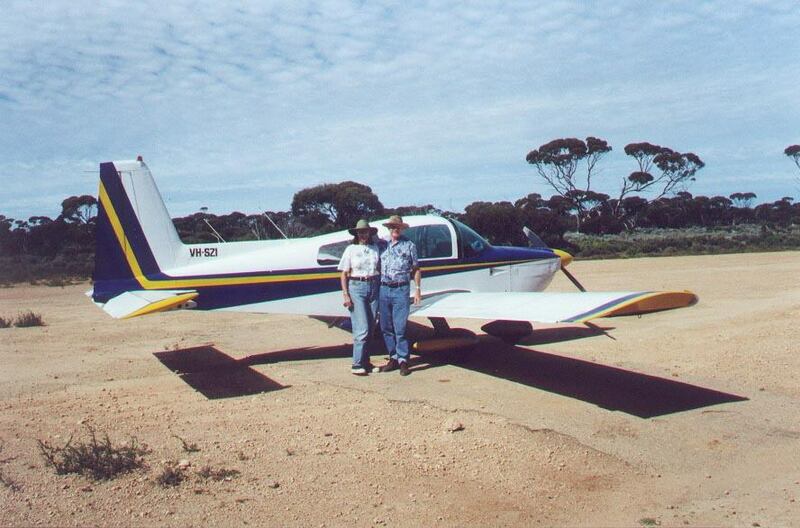 On the left, Peter Gorton and Richard Hinsley refuelling at Cobar NSW Australia en route back home from the White Cliffs Flyin. Peter is standing beside Richard's AA1C VH-IFB, with Pete's AA1B VH-SZG in the rear. 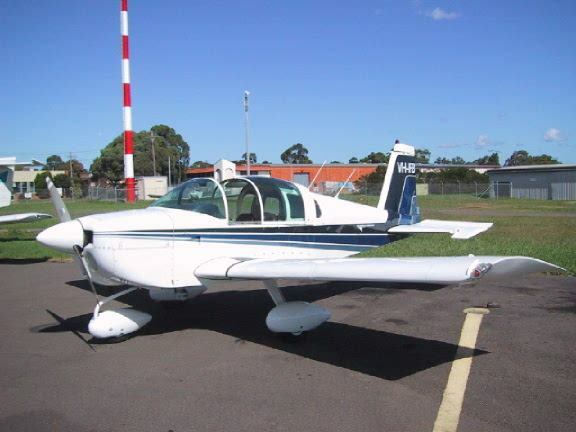 The two aircraft flew together eastbound for a few hundred miles before Pete turned south for Canberra, and Richard returned to Sydney. On the right is a closer look at Richard's AA1C. The Petruskas standing with their 1979 Tiger at Doylestown, PA (DYL). 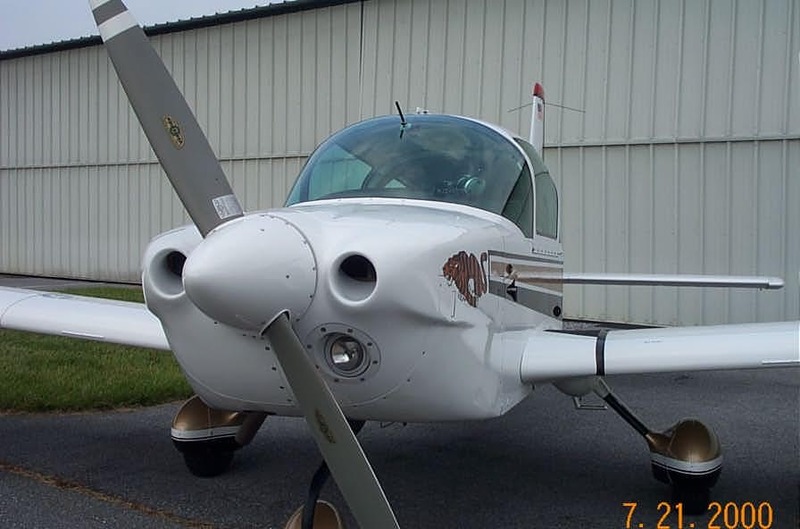 John had been flying a 1956 Cessna 172 for 15 years and wanted a Tiger for that long also, so he finally did something about it. 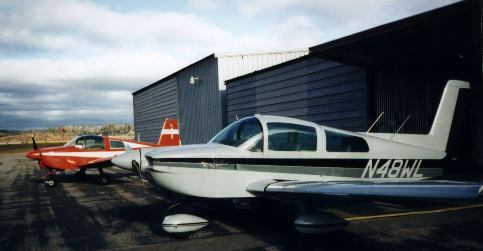 On the left is Charles Borozinski's 1972 Traveler N5892L, based at Arlington, WA (AWO). 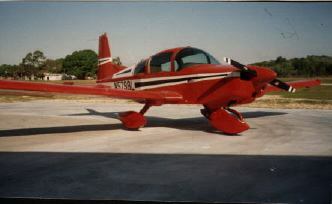 Charles just recently added Red Rudder Cap, DMA Wheel Fairings and Strobes. Left and right, are the left and right sides of Paul Lyet's 1976 Tiger after successful rhinoplasty and fresh paint. Not shown is the new interior and O&N auxillary fuel tank in the baggage area. 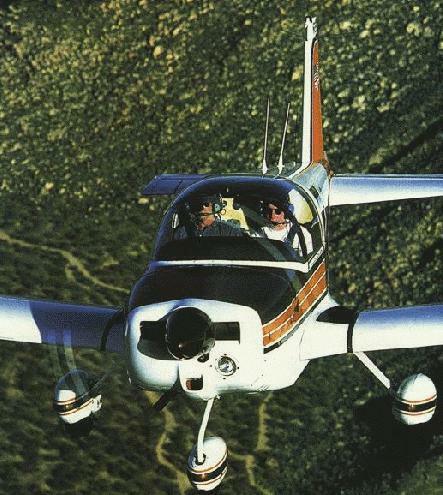 Jeff Jacobs passes along these Grumman American sales brochures from 1977 for the AA-1C, and the AA-5A, AA-5B. Close observation will reveal that these airplanes are not quite what they claim to be. Over on the left, Bobby Gibson is headed "up the river" past the New York City World Trade Center on his way to Laconia, NH. 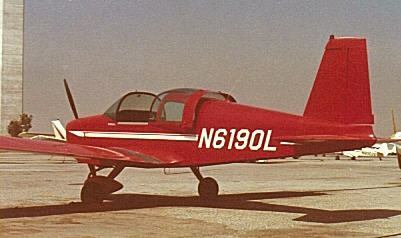 On the right, Bob Reed sent in this picture of N99YT, a 1972 Traveler, S/N 0005. 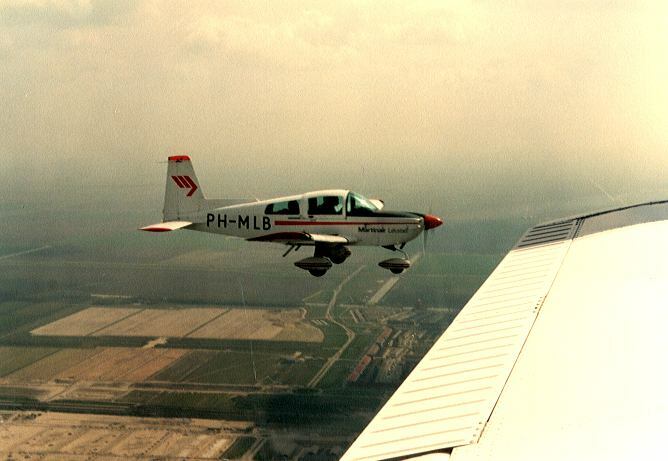 On the left is Dan & Renee Kelly in their '79 Tiger, named "Herbie", over south Texas. On the right is a '78 owned by Jim Watson and Dave Amato. 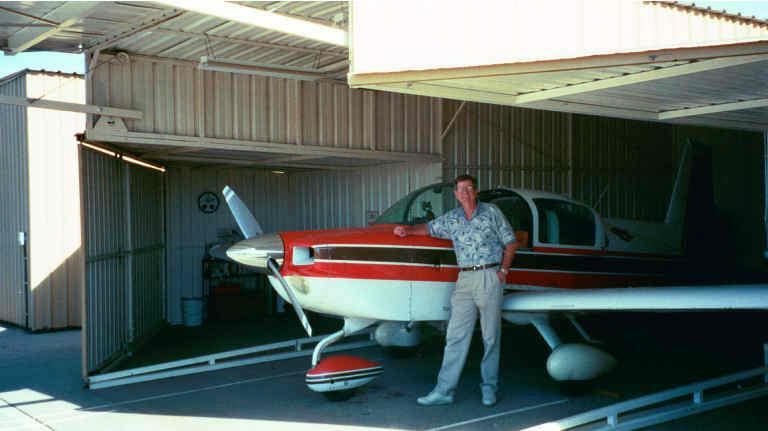 That's Jim with the airplane at home on Riverside municipal airport in California. Doug Ilg's private homebrew label. On the left, the bandwidth-efficient JPEG version, on the right, the full-resolution TIFF version. 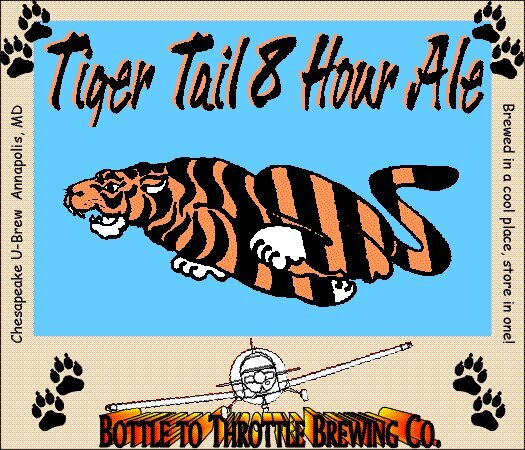 Jan Brill's Tiger, based in Switzerland. You can read more about Jan's Tiger at www.brills.de/jb. 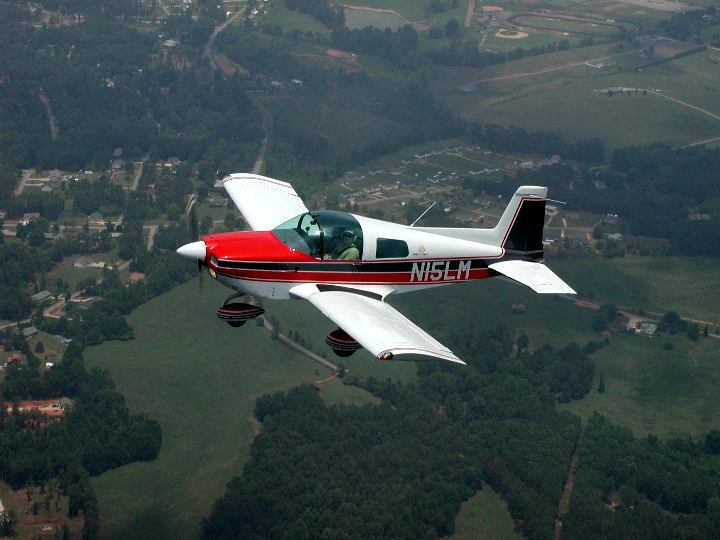 The Brooks, from Hunstville AL (based at 3M5) in their Cheetah at a recent AYA fly-in to Sewanee, TN. Rob Herklotz "image enhanced" the photograph to make it appear to be someplace else. 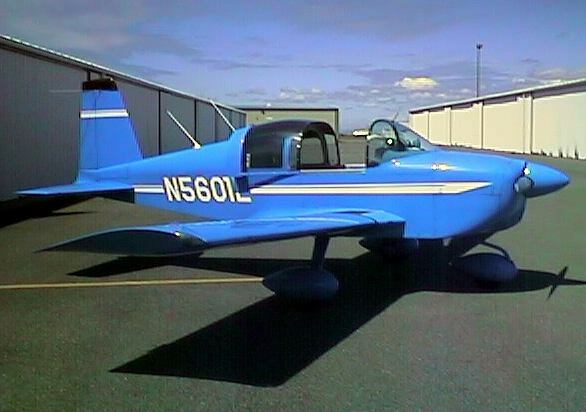 Jeff & Cheryl Jacobs' freshly painted and re-numberd Cheetah, shown at Grants Pass, Oregon on the left, and to the right on the "Grumman Only Parking" ramp at Boeing Field in Seattle, Washington. 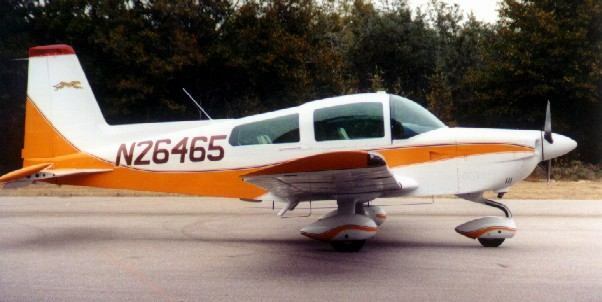 Tom Enterline's 1975 Traveler at home on Brandywine Airport (N99), West Chester PA. Tom has owned this airplane since 1998 and says this is no hangar queen. 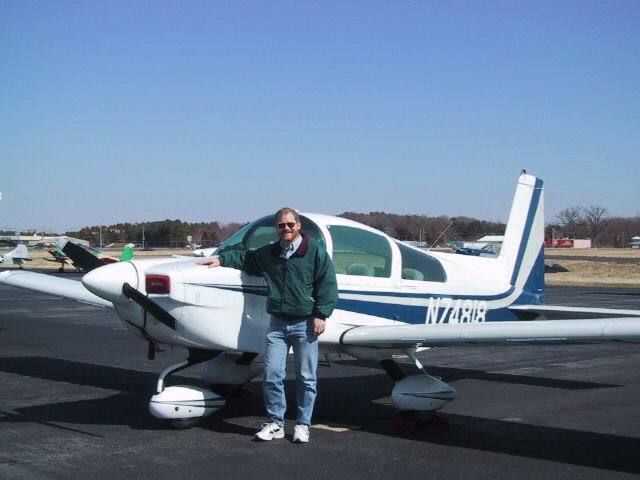 He did his instrument rating in this airplane and has been to Sun-n-Fun and Oshkosh. Don Gates' "new" (to him, anyway) AA1C. 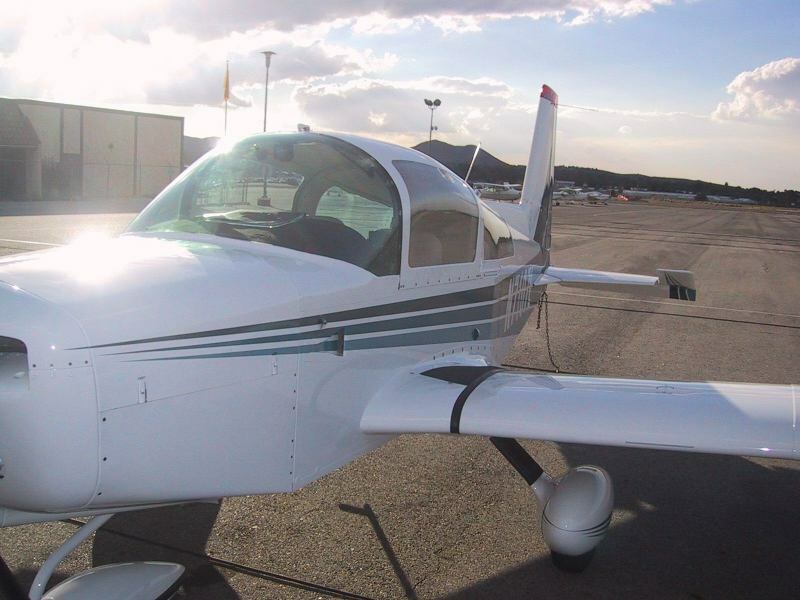 This 150HP IFR machine will be used by Don to commute from his home at Rosamond Skypark to Edwards AFB during the week and patrolling the skies of the Mojave desert on weekends. Scott & Mary Saylor's AA1C storms the beaches of Normandy no more. 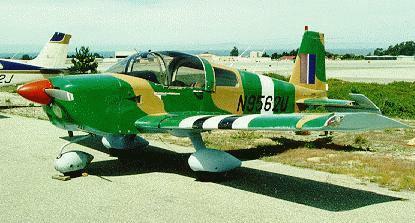 The previous camaflauge paint scheme worked too well - no one could see them! To the right is a photo of the interior. On the left is Bob Gresli's like-new 1975 Traveler "almost ready to go" shown here at Ken Blackman's shop. 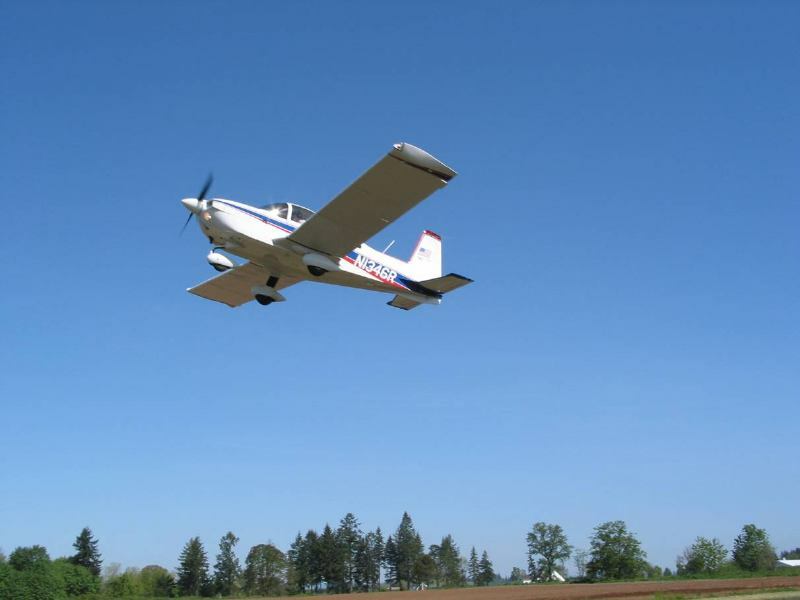 On the right, Bob is flying Young Eagles off of Twin Oaks Airpark in Hillsboro OR. 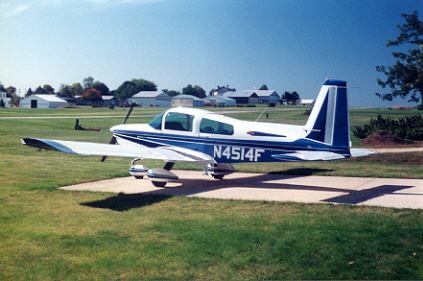 Claude Miltier's 1974 AA1B, seen here in it's original paint at Ash County Airport in Jefferon North Carolina. 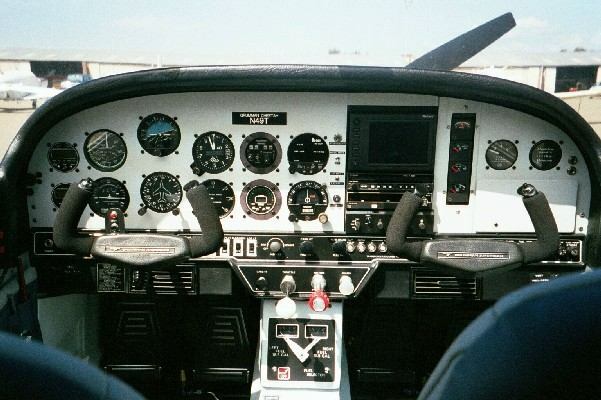 Future plans include a new interior and instrument panel updates. 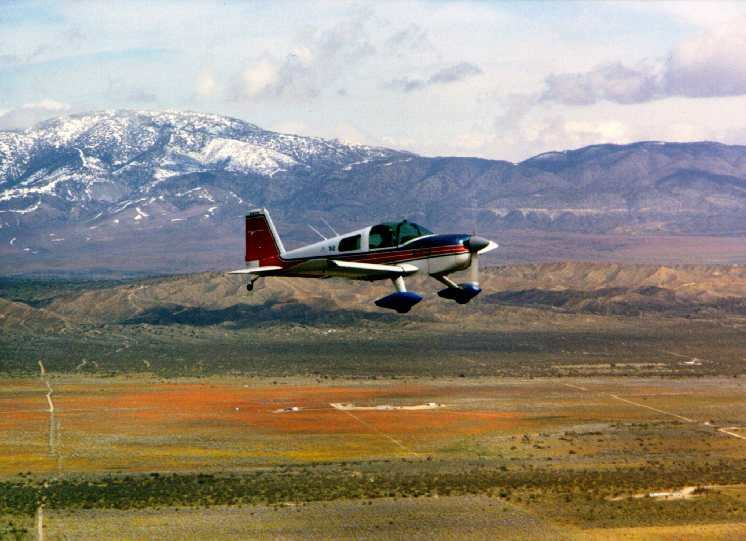 Mark Matthews, your list-meister, and Walt Porter doing some early morning air-to-air work at AYA '99 in Minden NV. This is Mark's 1975 Tiger. Jeff & Cheryl Jacobs are long-time dog lovers, but now they have a cat! 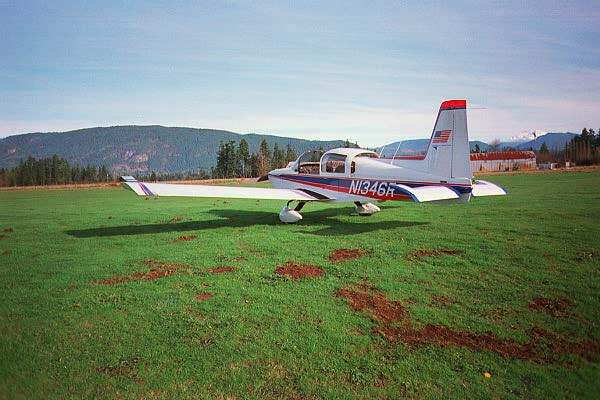 Here's their recently-purchased 1978 Cheetah at her new home base, Pearson Field in Vancouver, WA. She still wears her olive-green-and-orange factory paint ("the official colors of the 1970's"), but a new paint job may be not far off. 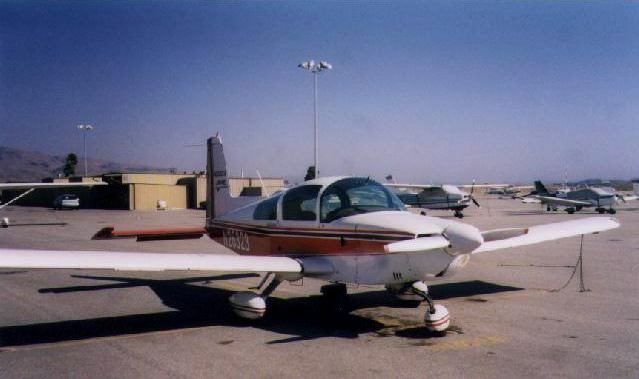 To the left is Oscar Rolan's 1974 Traveler (N7107L) based at El Monte, California with total time of 3700 hours. To the right Gregg Wilson, of Cincinatti Ohio stands with his Tiger. Andrew Kerans owns VH-RTZ is a 77 Tiger with Powerflow and K&R filter. Andrew says these two additions make a huge difference to performance, although fuel burn stays the same. 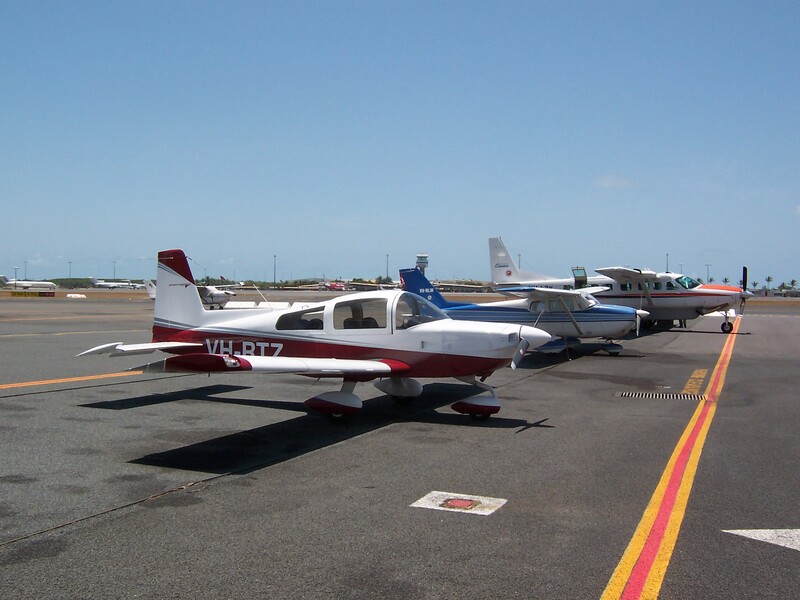 VH-RTZ is based in Canberra Australia although this picture was taken in Cairns where the Great Barrier reef is. 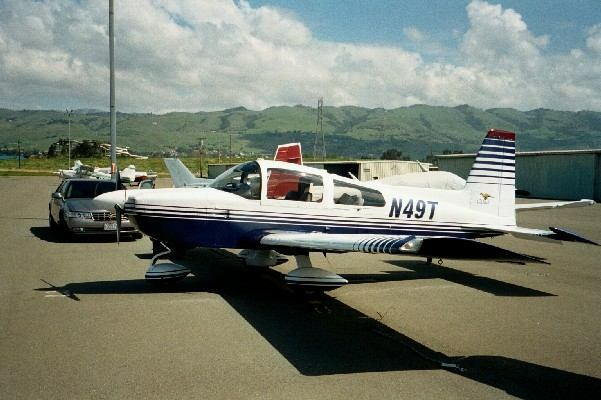 Robert M Manheimer of Arlington, Washington is the proud owner of Yankee Trader S/N 003, the first AA1 sold to a customer. Wow, that's Blue. Roger Danesi, from Concord California, has owned this Cheetah (shown here at SLO town) for 5 years. Previously an owner of a Warrior and a Lance, he says that he wouldn't trade the Cheeetah for either of them. 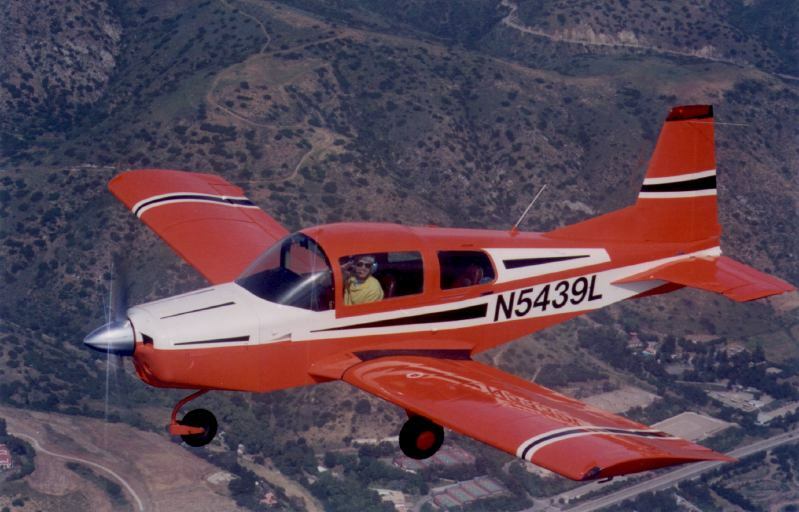 Bob Huber salutes the camera from his 1973 Traveler high over southern California. 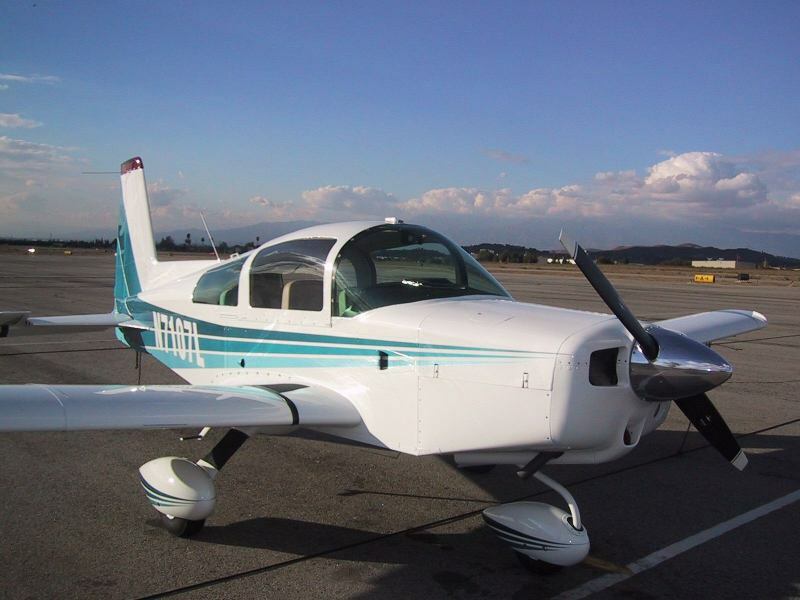 Bob has owned this airplane for 18 years and is based at Van Nuys. 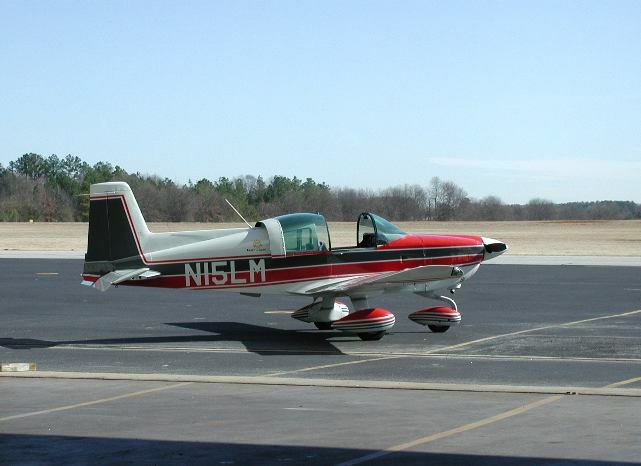 Dave and Lesa Covert are learning to fly in their '74 Traveler, N9560L. 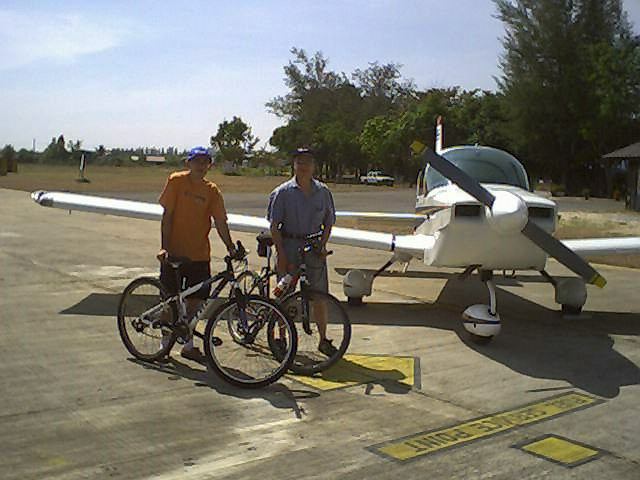 Having both always wanted to learn to fly, they bought the plane in Feb 99 (with the help of the AYA and the Gang) and started lessons in March. 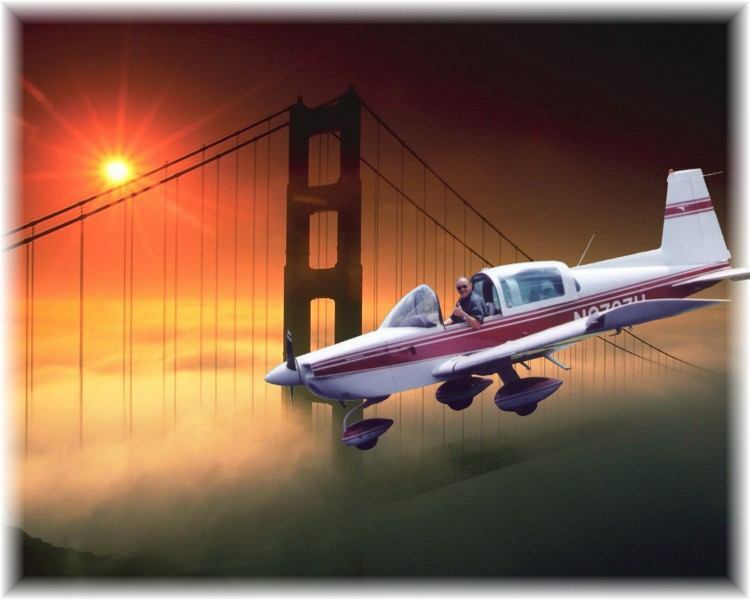 Dave and Lesa are travel nuts and will be logging a lot of x-country miles to fly-ins, shows and to see friends around the country once they have their tickets (August?). 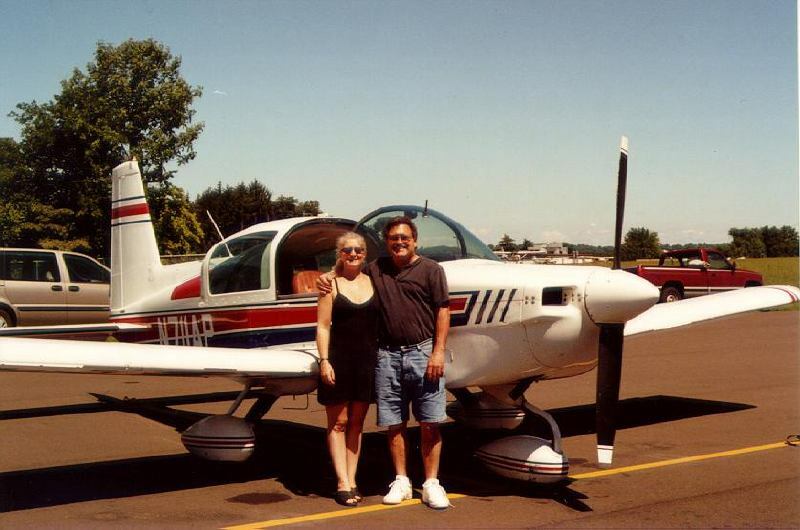 Pete & Marion Dooley, based at KMGJ, and their 1976 Tiger at a stop in Niagra Falls, NY. (Pete is the one behind the camera.) 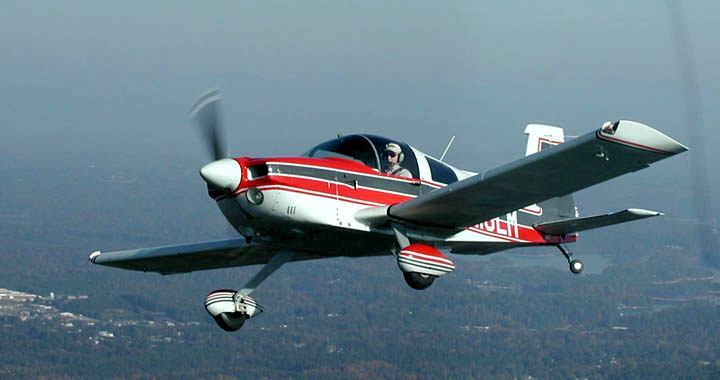 Marion teaches grade school, and Pete flys a corporate G2 to pay for the Tiger. 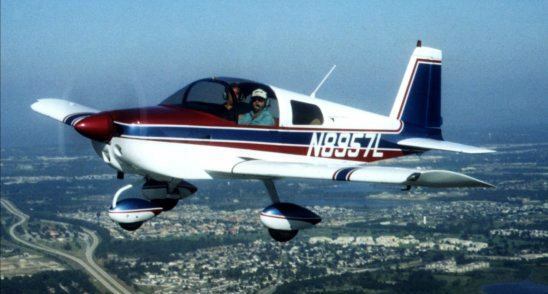 Sam Beckham and his 1974 AA1B over Lakeland, Florida. 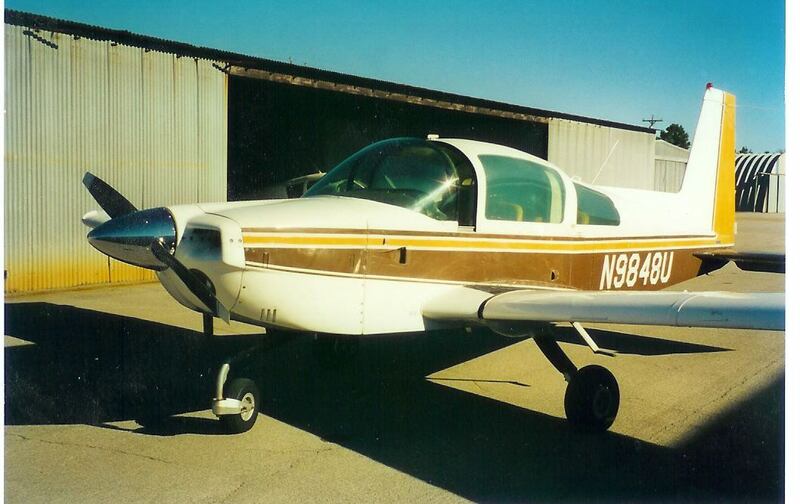 Jim Drobny submitted this photo of his '78 Tiger (and unamed co-conspirator), on the ramp ready to go flying. Tiger #1000 belongs to Bob and Winnie Bade of Waunakee, WI. 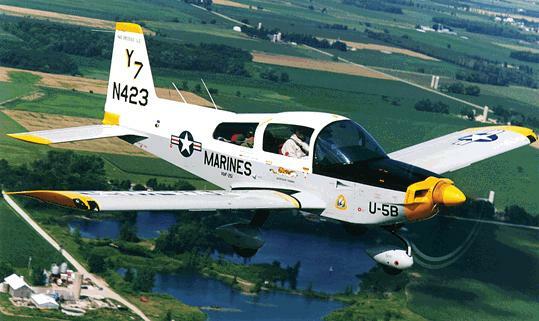 Bob's owned 5 different grummans over the past 16 years and says this one is the best of the bunch! Jeffery Jacobs submitted this photo of one of the Yankees he used for flight instruction at Long Beach CA in back 1971-1972. 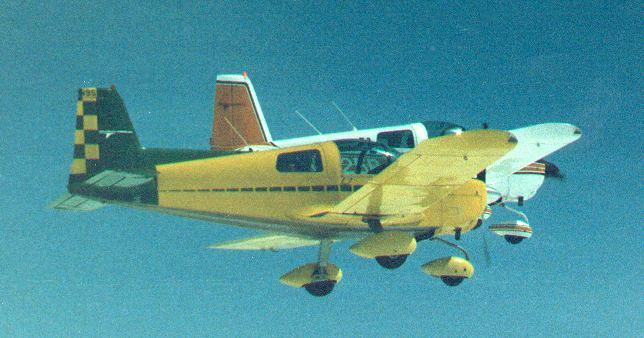 He also includes this correspondence from Bede Aircraft inc from 1964, the BD-1 sales brochure, the AA-1 sales brochure from 1970 or 1971, and the AA-5 sales brochure from 1972. 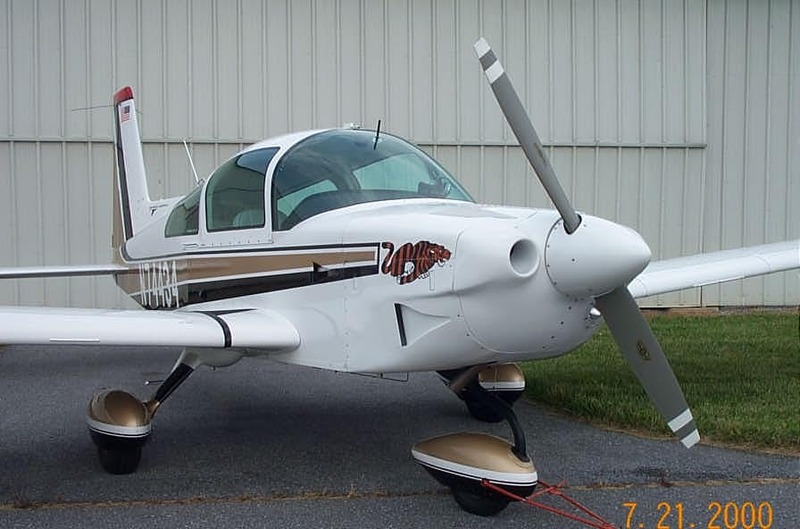 Doug Ilg's '76 Tiger, now featuring AGAC-style paint, at Eason MD. Photo by Blake Slavin. Larry Lymburner's 1973 Travler, showing off DMA's AA5 gear clean-up kit. 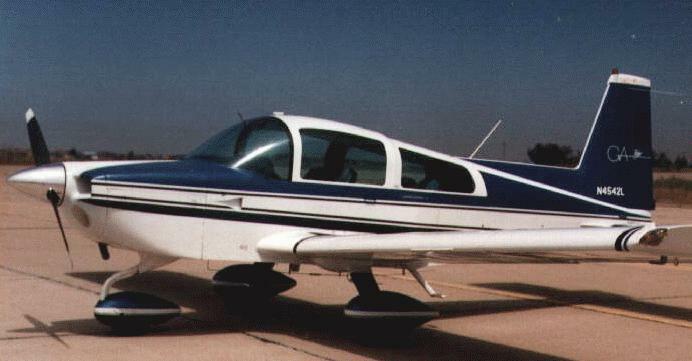 Jeff Simon reports that the folks down at Brookville Ohio (aka "the home for wayward grummans", aka "the center of the universe") are living large, offering as proof this photo of the ground tug they use. Dave Skertchly supplied this action photo of the AA5 Traveller registered G-BASH, owned by The Bash Flying Group, aka "The Bashers". G-BASH is based in at Popham in Hanpshire UK. Vagn Stevnhoved (to the left) and Kai Møller Andersen (to the right) in their Tigers OY-GAI and OY-CYN respectively. Pictures taken just off the coast a few miles east of their homebase in Grenaa, Denmark. Both are regular attenders at AYA European Region fly-ins. Won the "Longest Distance Travelled" award in Marmande, France in 1998. 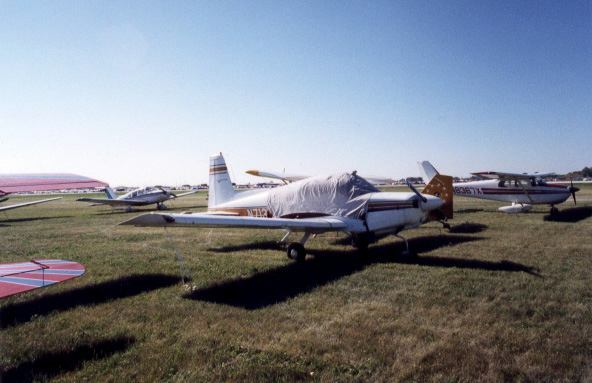 Steve Fowler's traveler, at Oshkosh 1998. 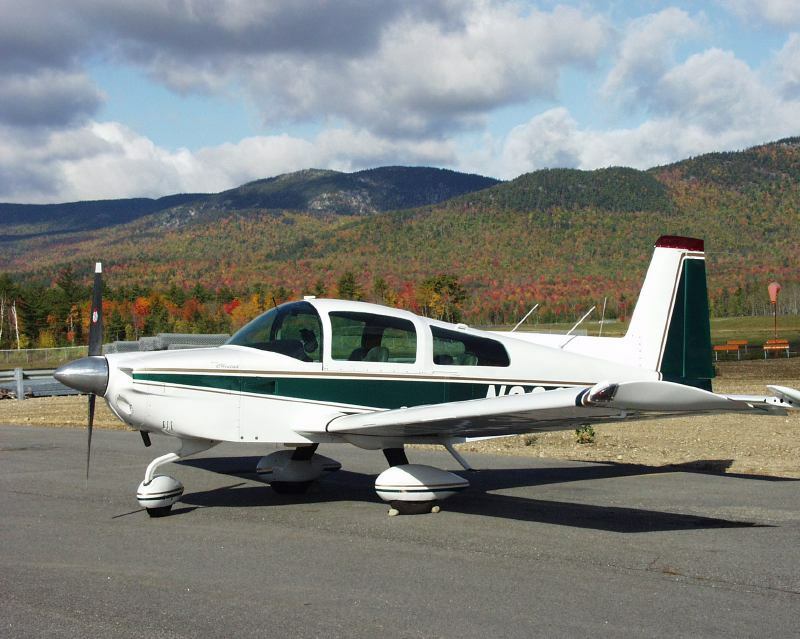 Steve was pulled out of a long line of waiting Cessnas, Pipers, and Beeches by a volunteer who remarked "We like Grummans here" as he helped push 33L into a fairly tight spot between two taildraggers. 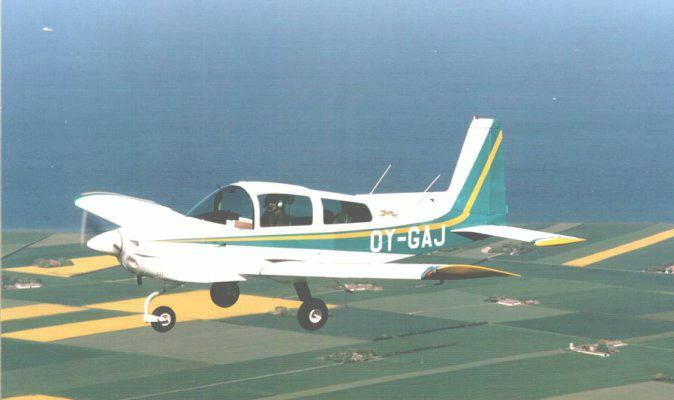 Peter Wendelboe is the proud papa of this freshly-painted Cheetah, flying over the fields of Denmark. 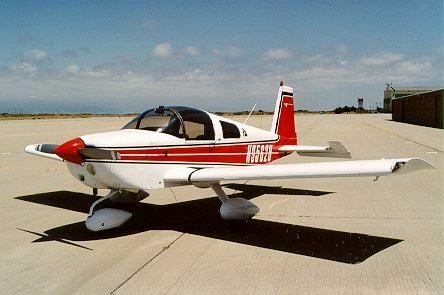 This is VH-ETT, a Traveler owned by Jack Liubinskas, David & Catherine Conway, Peter Cassidy, Dennis Medlow and Rob Curtis. On the right is a peek out the window as "ET" heads down final. Also on the right is "ET" and family at William Creek. N3LY belongs to Jim and Debbie Pyke, who purchased it from Tom Wilson, who bought is back from Mike Campbell, who purchased it from Tom Wilson. 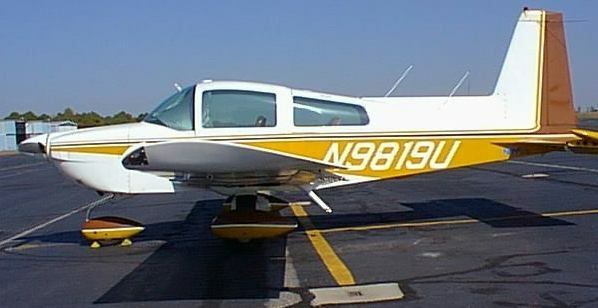 But it still doesn't have the reputation of Steve Williams' Orange Airplane. Jeff Simon bought this white/silver/green 1975 AA5 on the 12th of June 1998, just two days before he got married. At least he'll never forget his wedding anniversary. 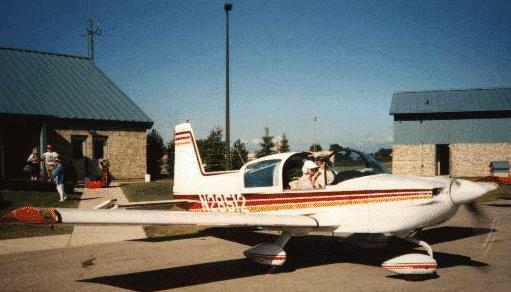 Mel Ott picked up this Lynx, N39038, from Idaho last year with a 0 SMOH engine. 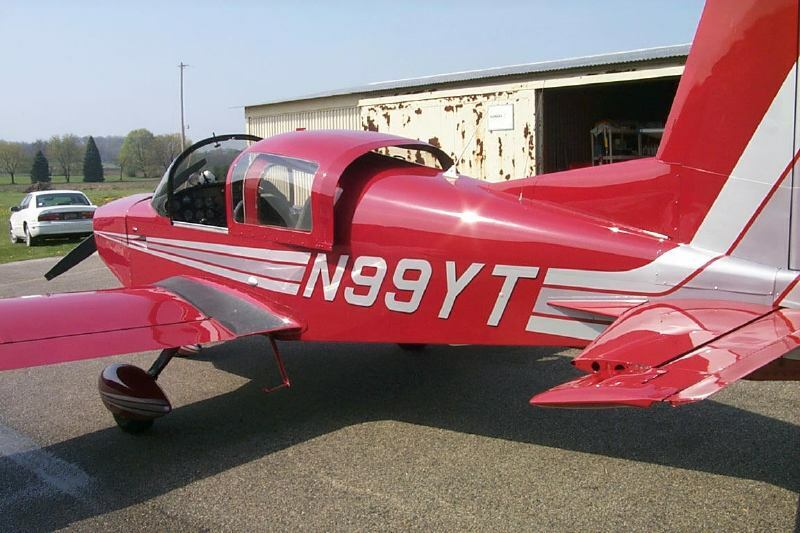 He flew home, and promptly had her repainted in her original color scheme. 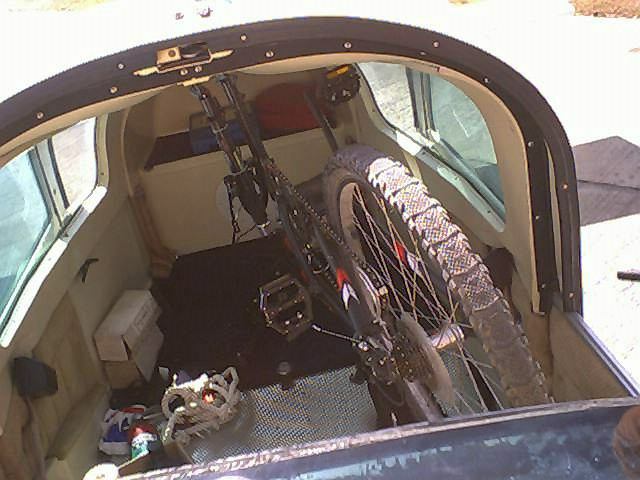 Then he put in a new interior. 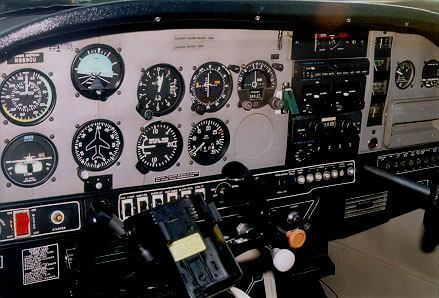 Finally, he refurbished the instrument panel. Which is what retired Northwest captains do when they want a new Yankee. BTW - This is Mel's sixth Grumman, having previously owned a '69 Yankee, a '72 Traveler, '76 Tiger, '78 Cougar, and a '78 T-Cat. To the right is Jim Bemiss and his '79 Tiger, located at BLM in central New Jersey. 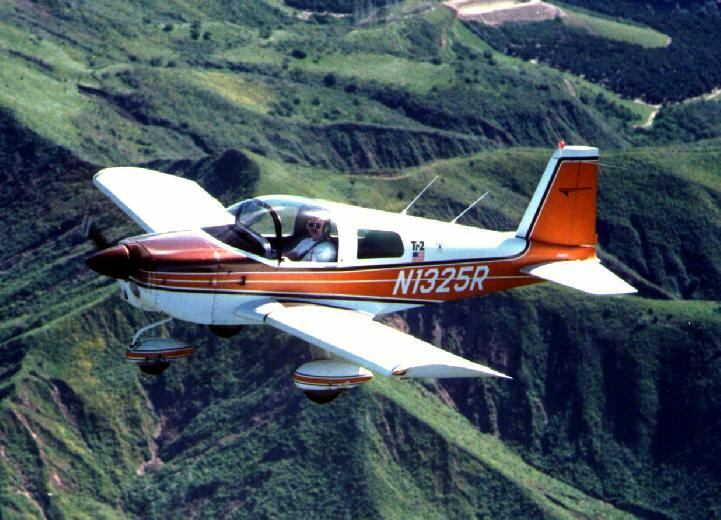 Colors unitinentionally match those of the New Jersey State Police, which must make flying IFR (I Follow Roads) entertaining. Painted in 1997 by Sky Harbour in Goderich, Canada. 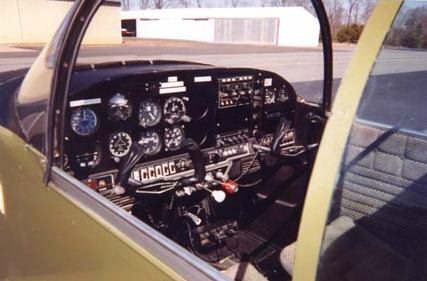 To the right is Tom Parsons's 1969 AA-1 with 1600 hours SAN. 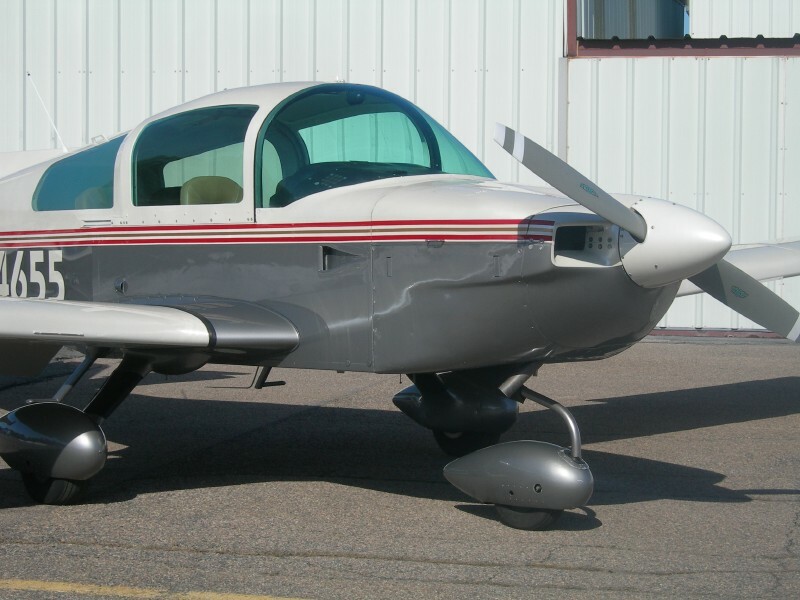 It is original paint, plus the dark stripe on the side. He traded up from a 172. 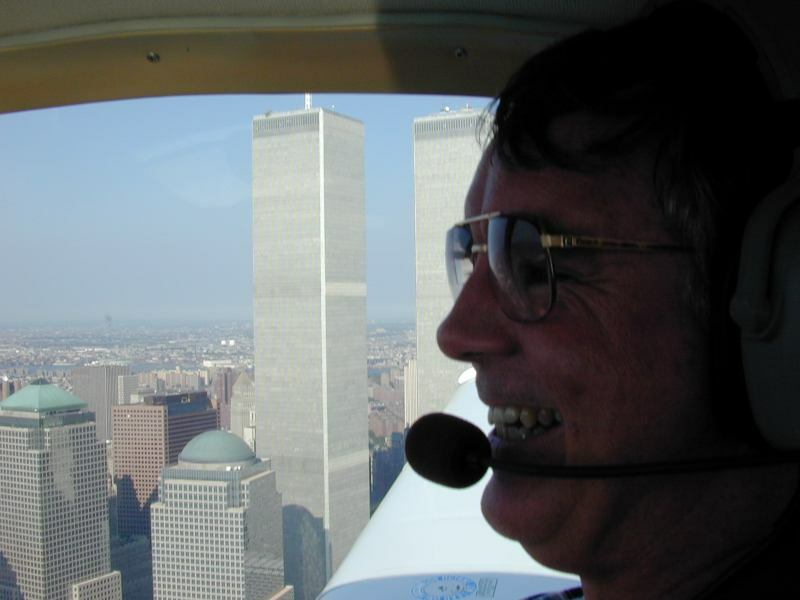 Tom and his wife like to make the airshows and fly-ins within a couple of hundred miles of thier home in Hobbs, NM. This year, they're looking forward to arriving in style. Herb & Sue Kartanos' AA5 getting acquainted with her new home in Lancaster, PA. Coming from sunny Georgia in the middle of winter, she can't quite figure out what the white stuff on the ground is. Sue appears to be having the same problem. 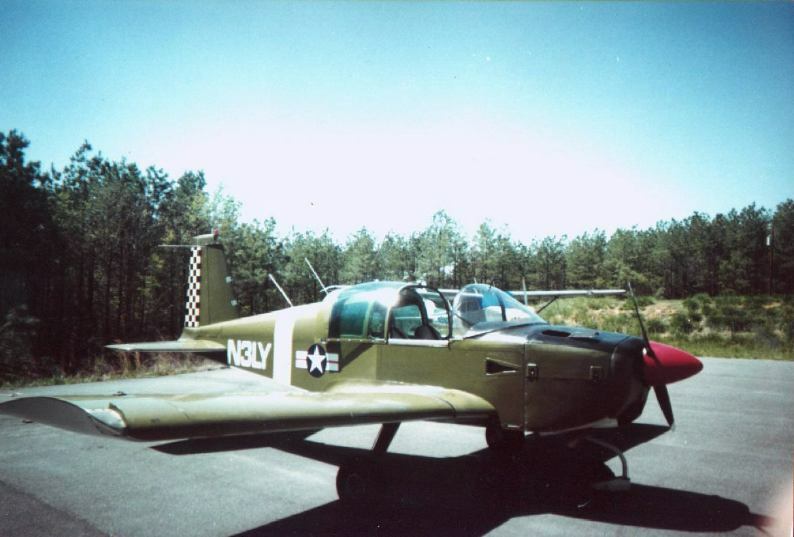 Two views of Major Tim Solms' 1976 Cheetah in original paint at home in Easton, Maryland, returning from one of many trips to collect stored possessions scattered about the east coast of the US while Tim was flying Apaches in Korea. Tim now flies a desk at the Pentagon, so the Cheetah helps him maintain his sanity. Bob and Susan Shafer's beautifully detailed Tiger that won the Best in Show Award at AYA 96 in Stratford Canada. 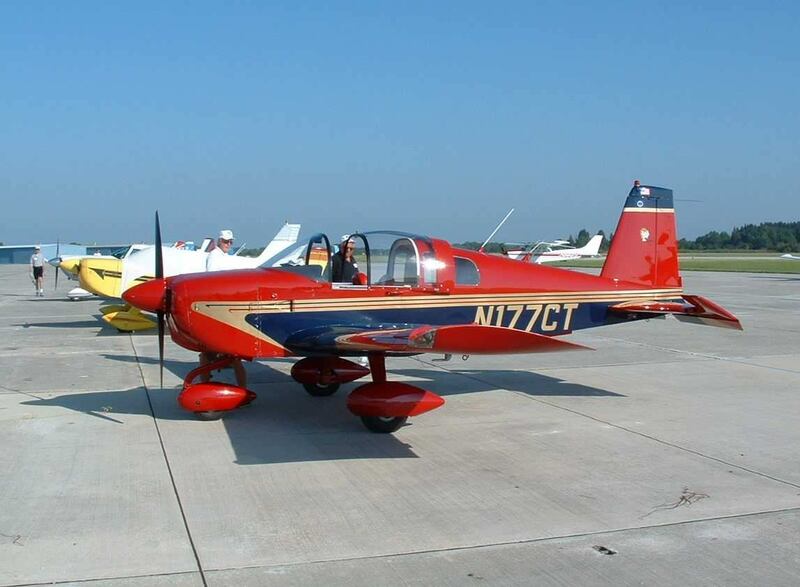 We hope to have a shot of Stu Morse's beautiful Tiger N5TU that won best of show at AYA 97 in Bowling Green KY soon. On the right are a series of shots of John Tucci's and Ralph Delgado's beautiful Cougar. Jack and Marionette Blood's bright red two seater to the left has looked like this since new. It has never been seen a spot of dust or a chip in the paint. The former is a result of dusting cloths in Jack's and Marionette's back pockets. 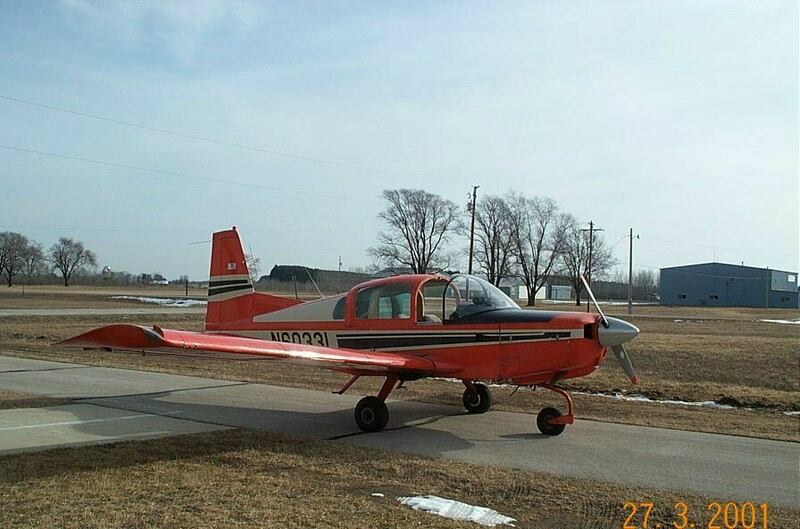 The latter, they claim, is because they fly off of their own grass strip near Evansville IN. 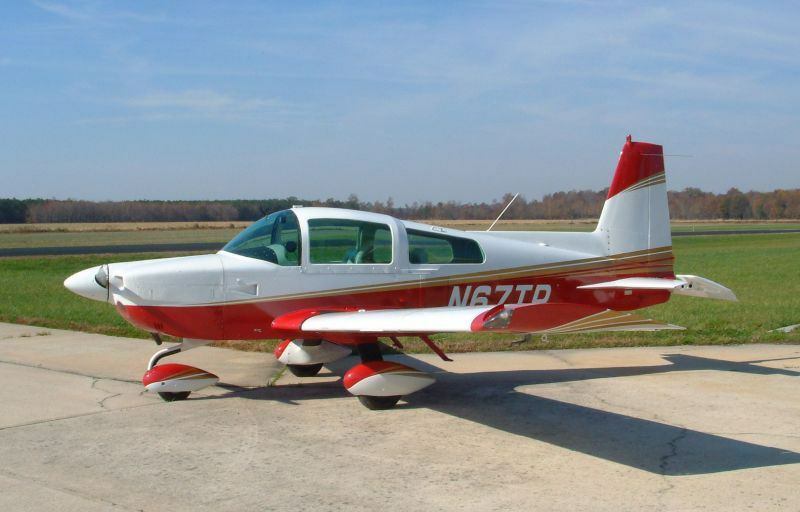 This jewel of a plane has a 150 hp engine and additional fuel tanks in the wings. On the right is Gunter and Ann Hagen's pretty Tiger. Gunter is just closing the canopy as he and his wife roll out for the 2,200 mile trip from Stratford to their home in Malibu, CA. Joe Reed who runs the AYA Southeast Region web site owns the beautiful Cheetah on the left. 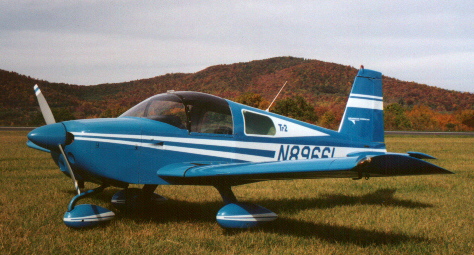 Jason Karlin's '78 Linx was on the February 1996 cover of Air Progress. 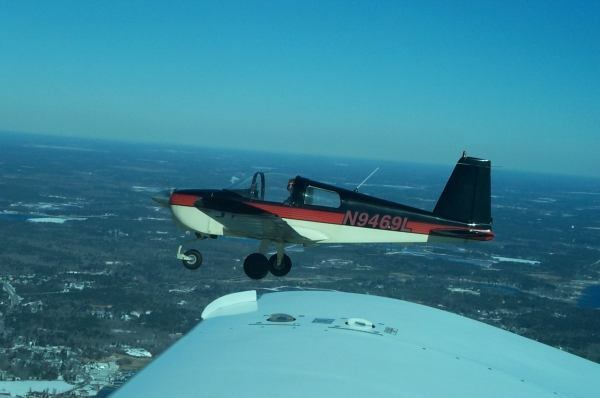 This close up shot on the right demonstrates how close Jason and his dad Dana were to the camera plane. Here are two fine examples of the AYA fleet. 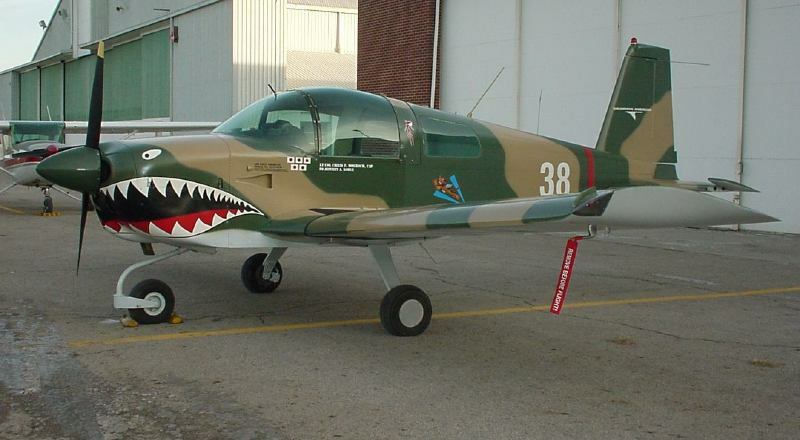 Darryl Tattrie's AA-1 on the left with new paint and Al Guerra's Tiger on the right with original paint demonstrate the pride the members of the AYA have in their airplanes. Michael Gillespie donated the original web site, technical advice, and technical support for the Grumman Gang's web page. He is seen on the left with his Cheetah in Revelstoke, British Columbia. Scott Saylor sent us this picture of his 150 hp 1977 AA1C ready to storm the beaches of Normandy. 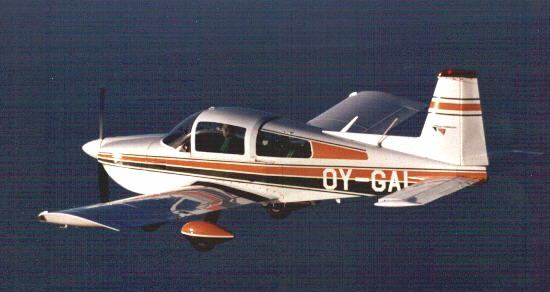 On the left is Jean-Marc Julia's 1992 AG-5B IFR equipped Tiger.The picture was taken from a tired Socata Rallye by Fabien Campillo. 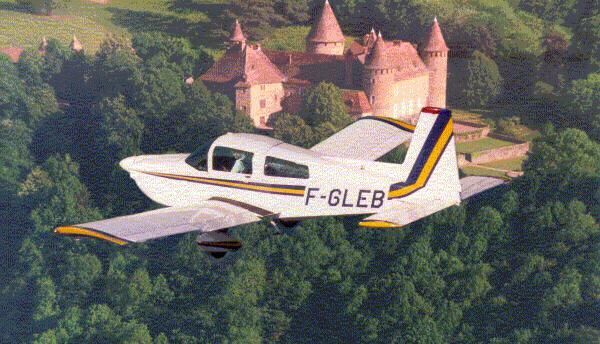 The castle in the background is the Chateau de Virieu near Grenoble. 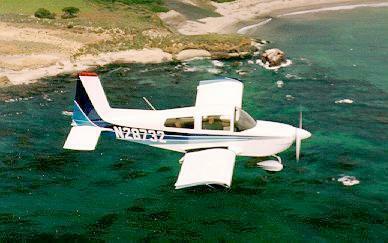 Dave Hock's freshly pained '78 Tiger on the right is flying over Pebble Beach CA. The picture was taken from the back seat of a T-34. 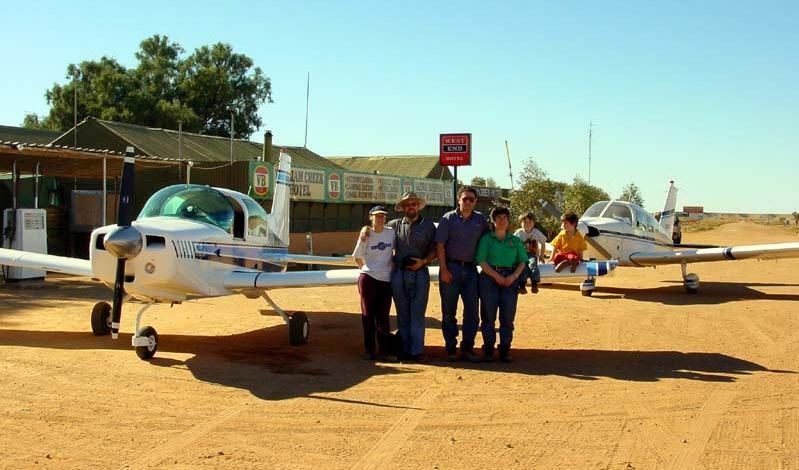 We need pictures, particularly your pictures snapped at fly-ins. E-mail them to: Grumman-Gang Photo Submission, attaching JPEG or GIF files of your pictures, at 72 dpi and about 600 pixels wide. Note: All photos are copyright their respective owners, and used here with permission. 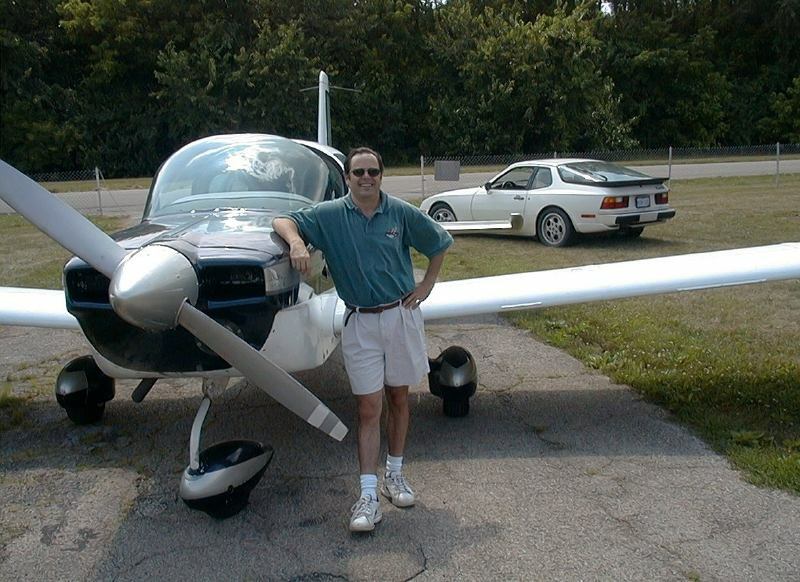 The Grumman-Gang is made possible by Mark Matthews, who is the Webmaster and maintains the mailing list.